Great value dispenser for non-clinical environments - No antimicrobial protection. For the protected version please see our RD14-BIO coded product. 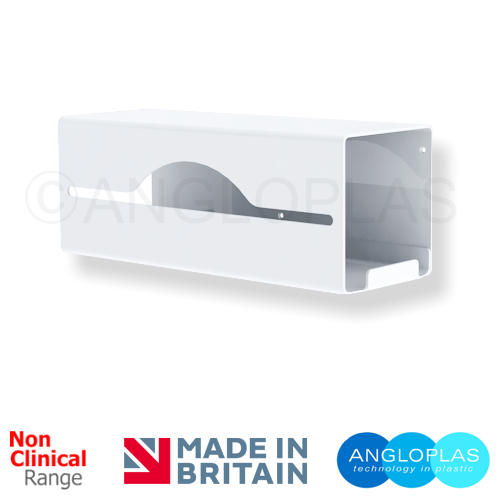 Manufactured in Easy Clean, Bright White Rigid PVC to the same exacting standards as our antimicrobial range. Holds 1 standard roll of disposable aprons or bags up to 356 mm (14") wide. Keeps work surfaces clear and provides quick and convenient access to aprons or bags. Long life, no maintainence required.